Since FEB 2015 NEC-SE has been stating that the Iranian Nuclear deal will be reliant and has more to do with the economic realities in the world than the Nuclear Issue itself. On 11 AUG 15 I was interviewed on Josh Bernstein show where I talked about the economic realities of the Iranian nuclear deal. 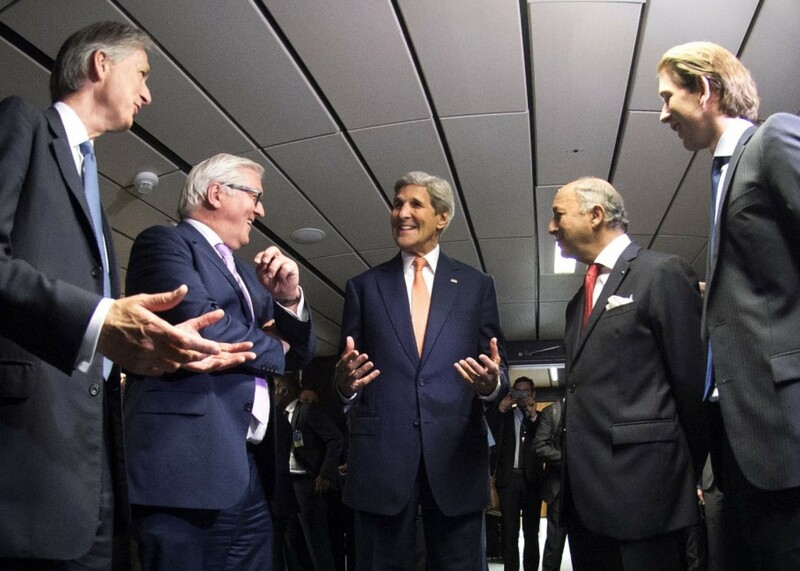 French Foreign Minister Laurent Fabius, second right, German Foreign Minister Frank-Walter Steinmeier, second left, British Foreign Secretary Philip Hammond, left, U.S. Secretary of State John Kerry, center, and Austria’s Foreign Minister Sebastian Kurz, right, talk in Vienna, Austria last month when the deal was announced.